The West 7th Street Bridge is a gateway between downtown Fort Worth and its cultural district. An obsolete bridge is being replaced by the world’s first pre-cast network arch bridge, which will accommodate multimodal access. 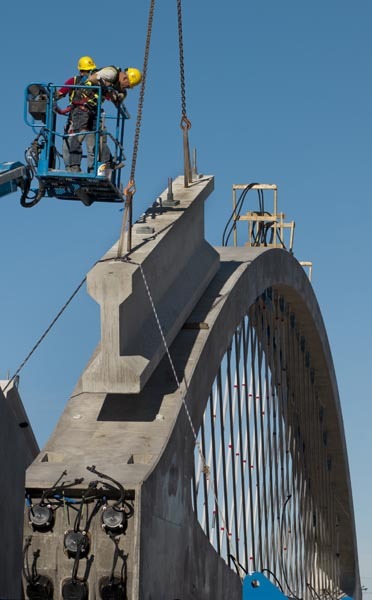 TxDOT’s futuristic design is constructed with 12 precast arches, which were completed off site. 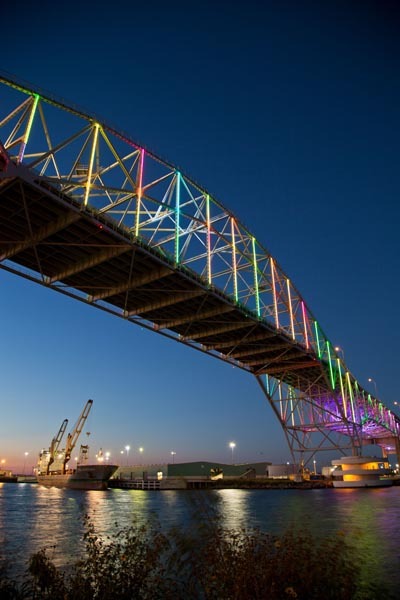 Harbor Bridge, Corpus Christi, Texas. 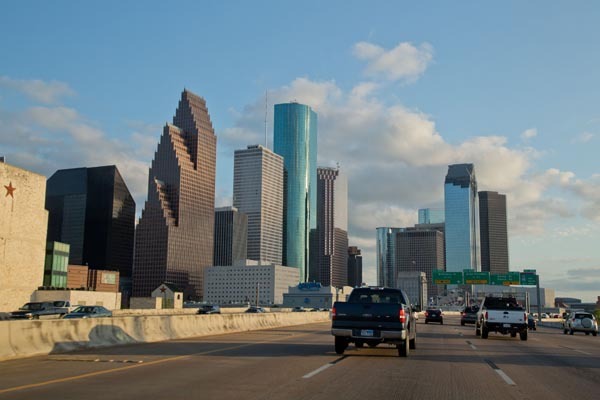 Houston skyline from Interstate 45. 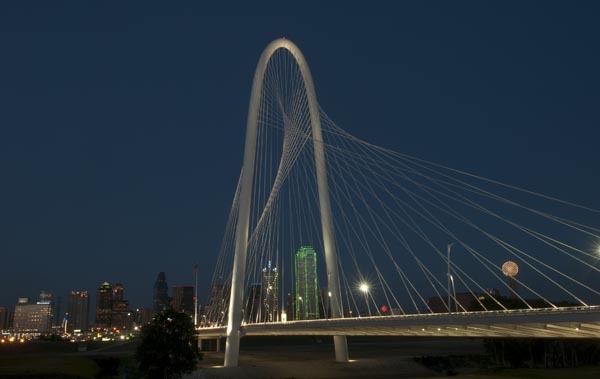 A beautiful, jaw-dropping arch of concrete and steel, the Margaret Hunt Hill Bridge unites Dallas both literally and figuratively. The bridge, an extension of the Woodall Rodgers Freeway designed by noted Spanish architect Santiago Calatrava, connects Uptown and West Dallas where they meet at the Trinity River. 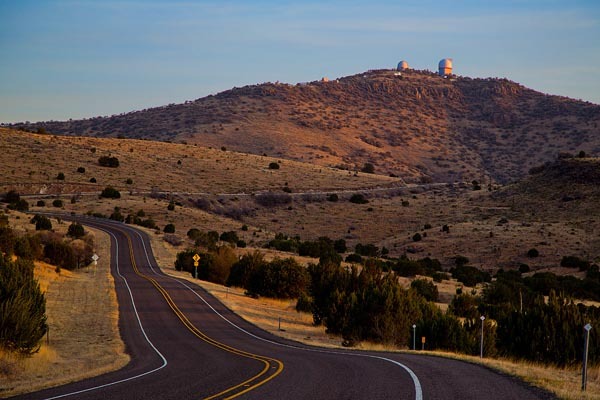 Road to the McDonald Observatory, Fort Davis, Texas. 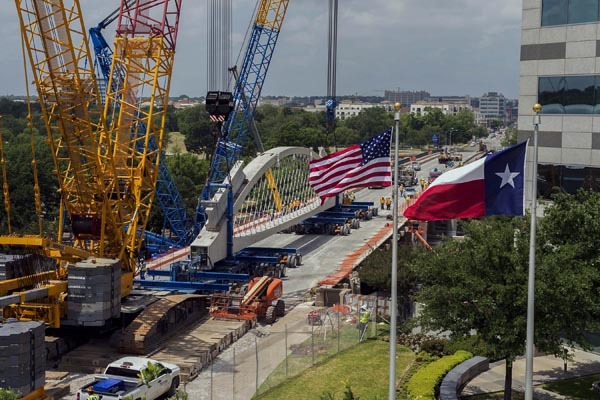 The World’s first pre-cast networked arch bridge is being built in Fort Worth. The arches are constructed off-site and transported to the final site. Here the contractor prepares to place the first arch. The new arch sits on the old bridge that it replaces. 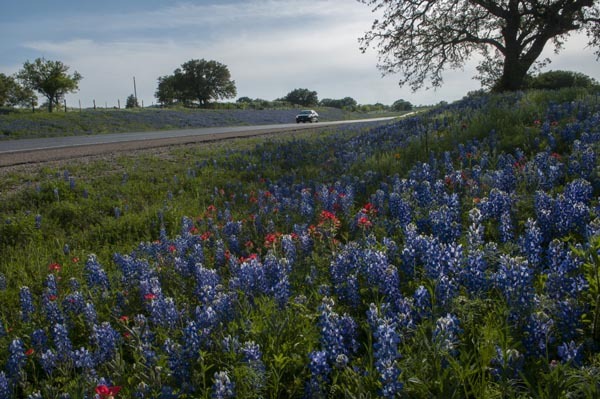 Seemingly endless vistas of bluebonnets and Indian paintbrushes enhance a springtime drive along Texas 71, a state highway in the Hill Country of Central Texas. 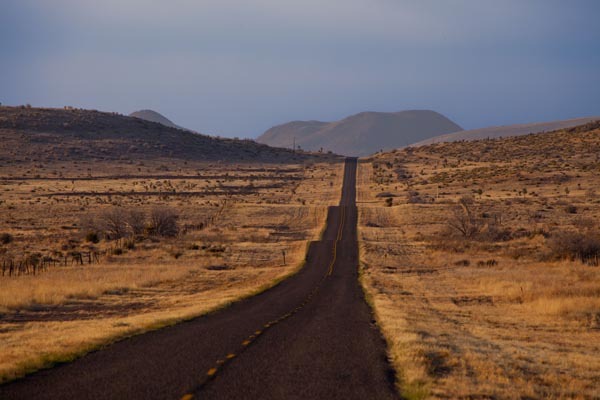 Near Spicewood, the right-of-way and surrounding fields offer abundant photo opportunities or just a color-filled journey for the lucky traveler. State Highway 116 near Valentine, Texas.